3 bd, 2 bath, 2 car garage, zoned for some of the top rated schools in Henderson. Upgrades include: New 2 tone paint outside, new 2 tone paint inside with accent walls, granite counter tops in kitchen and both bathrooms, new bathroom flooring and custom tile showers have been completely redone, in the master bath we removed the tub and made a large standing shower with 5 shower heads, stainless steel appliances, new custom stainless steel and glass tile back-splash in kitchen, new light fixtures, new custom tile fireplace, the garage has been finished with new paint as well as an added epoxy painted floor, new landscaping in both front and rear yards including new sod and flowers/bushes, and there is more but it is just too much to list! Call, Text, or Email for more details and showings. 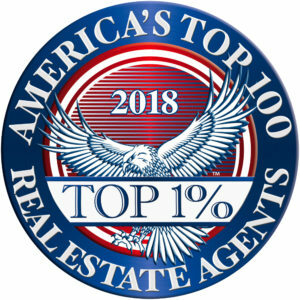 Robert Adams 702-349-9175 RobertAdams@LVrealestateHELP.com Broker/Salesman and Team Leader of The Adams Team at Rothwell Gornt Companies. Rehab projects are my favorite part of real estate. It allows me to look at a property as an open canvas and transform it into a property that people will be able to enjoy for years to come! Below are some before and after photos. This property is NOT LISTED ON THE MLS YET. If you would like to see this property or submit an offer please call me at the contact info below. It will be listed for $249,000 later in the week. I will also be posting the official listing details for this property later in the week that will include more/better photos as well. I hope you enjoy them as much as I enjoyed the project! NW Las Vegas Rental home with 4 bedrooms for only $1150 mo. Built in 2004. Beautiful 4 Bedroom Northwest Clean Gated Rental Home with fresh carpet and paint, spacious open floor plan, huge master bedroom and a breakfast bar in a nice clean quiet community . A must see! Owner will consider small pets only on a case by case basis. Call, Text, or Email for more info and showings! Latest rehab project to be completed in a few days! I am working hard on a Sunday on our latest rehab project. Stay tuned for before and after pics in a couple days! If you are an owner occupant looking for a highly upgraded started home this could be the one for you. 3bd, 2 bath, 2 car garage, zoned for some of the top rated schools in Henderson. Upgrades include: New 2 tone paint outside, new 2 tone paint inside with accent walls, granite counter tops in kitchen and both bathrooms, new bathroom flooring and showers have been completely redone, in the master bath we removed the tub and made a large standing shower with 5 shower heads, stainless steel appliances, new landscaping in both front and rear yards including new sod and flowers/bushes, new custom stainless and glass tile back-splash in kitchen, new light fixtures, the garage has been finished and painted as well as an added epoxy painted floor, and there is more but it is just too much to list! If you are interested in this home please give me a call. With VIP status, a Pro Account Member, and Top Contributors week after week; we are proud to show off our Trulia Profile that is about to reach 9,000 views and ranked in the top 1% of ALL agent profiles on Trulia. Thank you for your continued support! If we have done business together in the past please click the "Recommend" button on our Trulia Profile and take 30 seconds to write a quick review for us. We would greatly appreciate it as it helps us generate future business and increase our online presence. Janet Yellen has been confirmed as the next chair of the Federal Reserve. "Janet Yellen has been confirmed as the next chair of the Federal Reserve. Yellen will replace current Fed Chair Ben Bernanke, whose term expires Jan. 31. Yellen, currently the Fed’s vice chair, will be the first woman to head the agency. She’ll also be the first Democrat to chair the Fed since Carter nominee Paul Volcker left the position in 1987. Yellen was confirmed in the face of strong conservative opposition, with the conservative Heritage Foundation last month publicly opposing her confirmation. Yellen is widely expected to continue Bernanke’s easy-money policies against the wishes of many in the GOP, who are frustrated with the Fed’s “quantitative easing” stimulus project, under which the agency purchased $85bn in bonds every month for more than a year. Last month the Fed announced it would scale the program back to $75bn per month, with further decreases planned as economic data allows. The program has been a boon to the mortgage industry, which saw rates fall to near-historic lows as a result of QE. Industry players have generally supported Yellen’s confirmation. “I think it’s a good thing for the industry,” said Marc Savitt, president of the National Association of Independent Housing Professionals. “She’s kind of middle of the road, and I think she’s a good choice. She proceeds cautiously. I don’t think she’s going to do anything radical that will spook the markets.” "